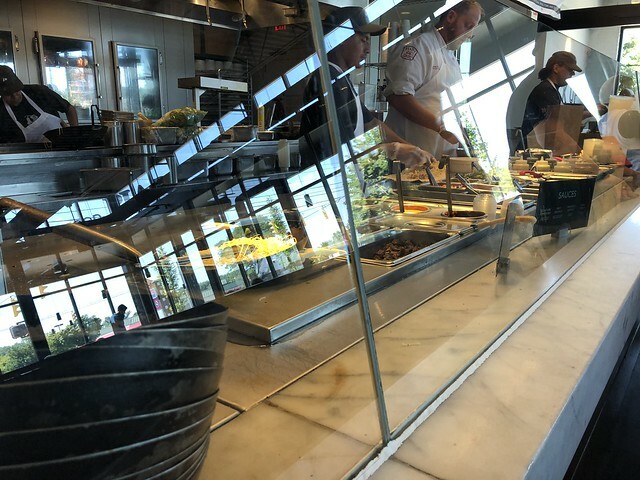 Ever since I moved to Charleston, I've heard about how Columbus is great, and folks love taking weekend trips there. So, I've been wanting to see what it's all about. And just recently had the chance to check out this city. 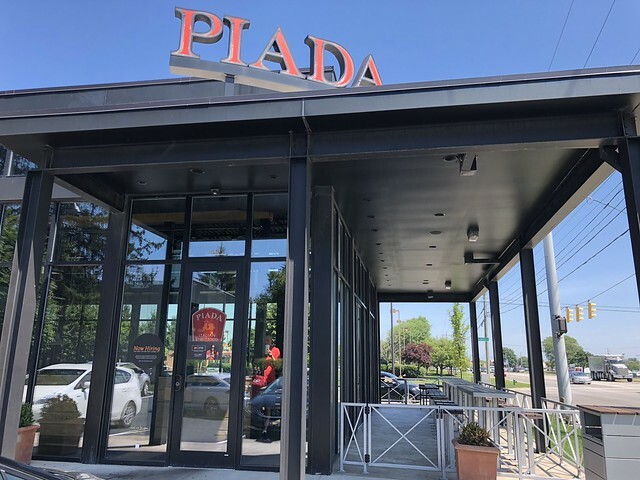 One of the first stops was at Piada, a counter service Italian street food restaurant. 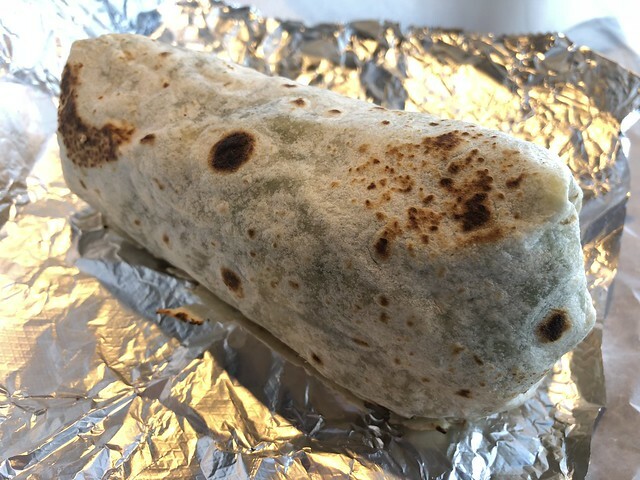 A "Piada" is an Italian wrap sandwich, essentially. 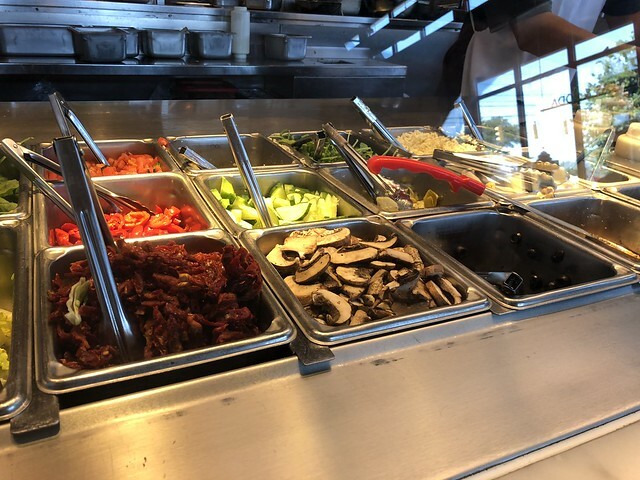 Here, you can pick and choose which ingredients you'd like for your meal - whether that's a piada, pasta, salad, or something else! 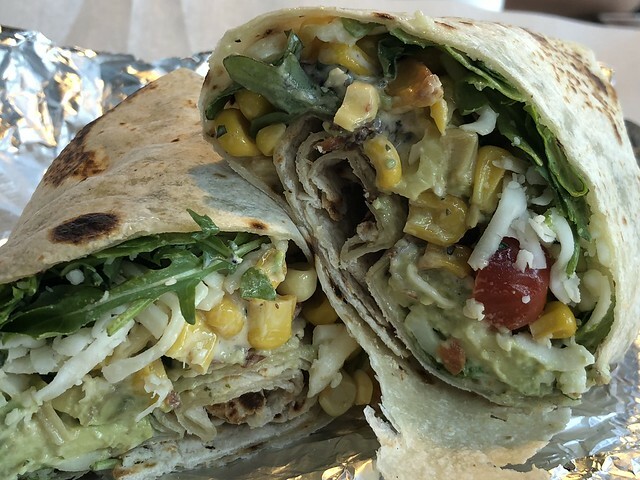 I wanted to try a piada, and I went with one of their suggested combos: Summer Avocado Piada - Italian-style street wrap with pancetta, fresh avocado, arugula, basil aioli, mozzarella, sweet corn & tomato. 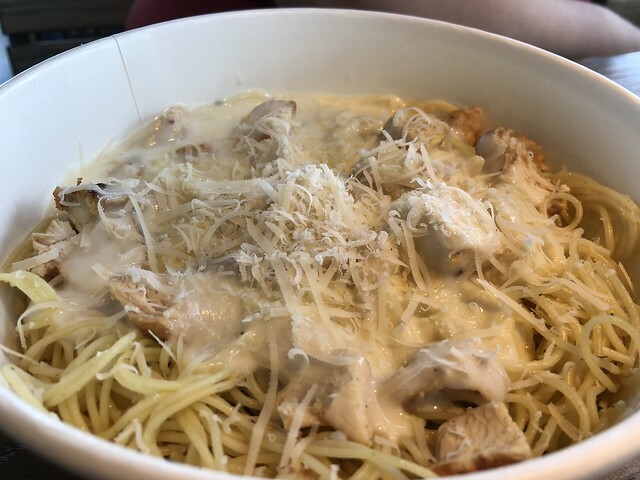 Dawn got a pasta dish! 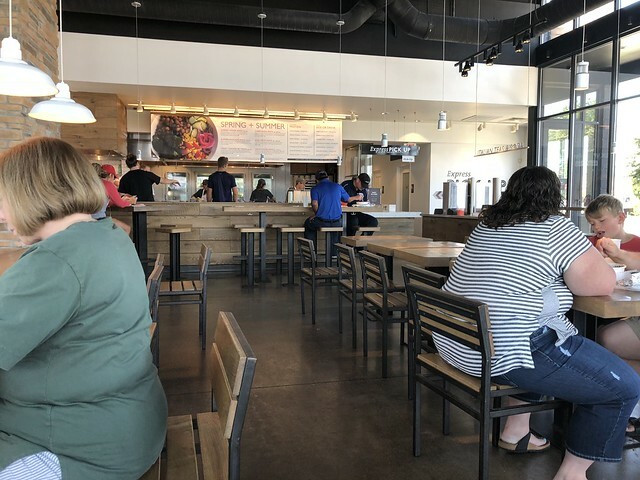 The piada is huge! 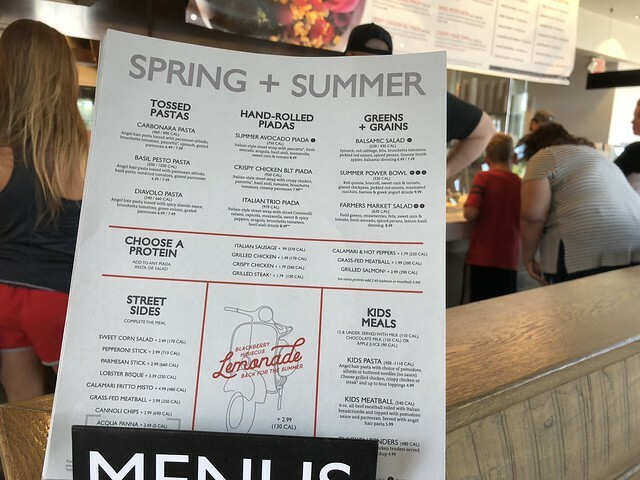 But, it was flavorful and fresh. Tasty.